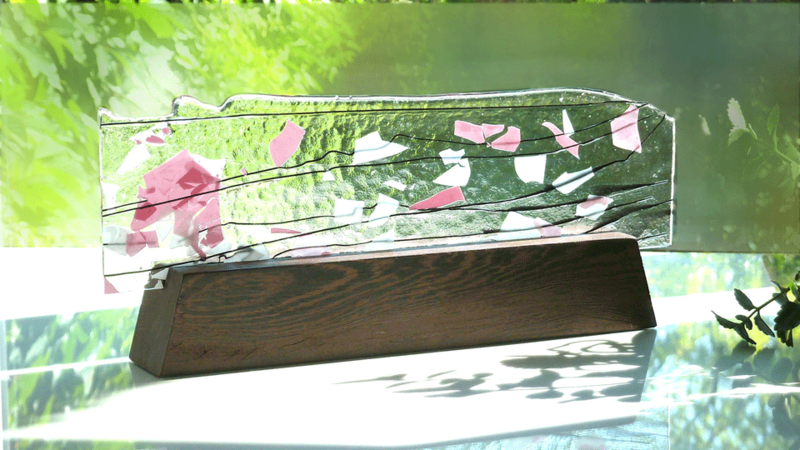 Pink and white flakes dance on a fine black line serving the delicate mouvement of glass. Supported by a narrow base of lovely dark wood it creates a delicate contrast with the art. The light that sparkles through creates a feeling of comfort and unfolds a soft ambiance of warmth, love and security.